Harty Condolence! 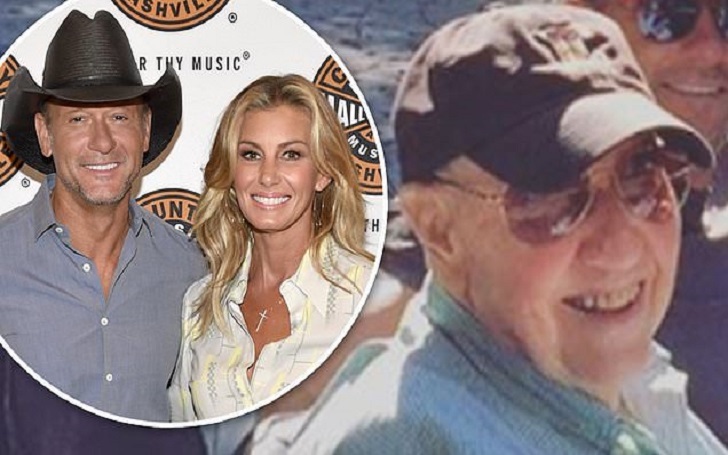 Tim McGraw has revealed that his father-in-law and his wife Faith Hill's father Ted Perry, has died. He was 88. The Not a Moment Too Soon singer, 51, took to Instagram on Tuesday, February 12, to confirm Ted's death. The post features a tribute video showing a collage of memories he and Faith, also 51, had with their family. He wrote, "G Pa, Faith’s father passed away last week at 88 yrs old. He was the sweetest, kindest most gentle man I’ve ever known". No man in my life has ever made such an impact on me as to how to be a human, a father and a friend. I’ll never, in 10 lifetimes, be able to live up to his example, but man, he has set a mark that all of us should strive for. His legacy will live on through the 3 beautiful souls he raised, Faith and her brothers, Steve and Wesley. The singer concluded the post, "I’m sure a day will not pass for the rest of my life, that he will not show up in my thoughts. We all love you G Pa."
According to an obituary on Legacy.com, he died on Tuesday, February 5, at Williamson Medical Center in Franklin, Tennessee. The family will reportedly honor Ted in a private burial in Florence, Mississippi. Ted, who was a father of three children, had a long career at Presto Manufacturing. He retired from there after 37 years. His obituary described him as a man who loved "gardening and ‘game night’ at his church. He reportedly loved going to Donna’s Fruit Stand. Tim and Faith have been married since 1996. Rest in Peace Ted Perry! San Francisco 49ers Quarterback Colin Kaepernick's thoughts on US Elections 2016.It's SHOCKING.